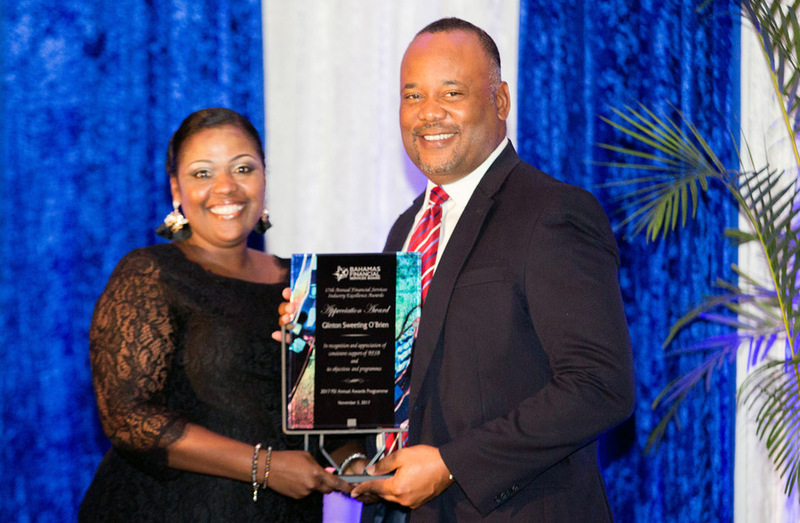 GSO Partner, Bryan Glinton receives BFSB Appreciation Award. Glinton Sweeting O’Brien is proud to announce that the firm received an Appreciation Award from the Bahamas Financial Services Board (“BFSB”) at its annual banquet held on Friday, November 3, 2017. Attorneys and senior managers from GSO were in attendance as BFSB recognized GSO for its engagement in BFSB’s work and consistent support of industry initiatives. GSO believes strongly in public service and remains committed to fully supporting BFSB’s initiatives in 2018 and onward.